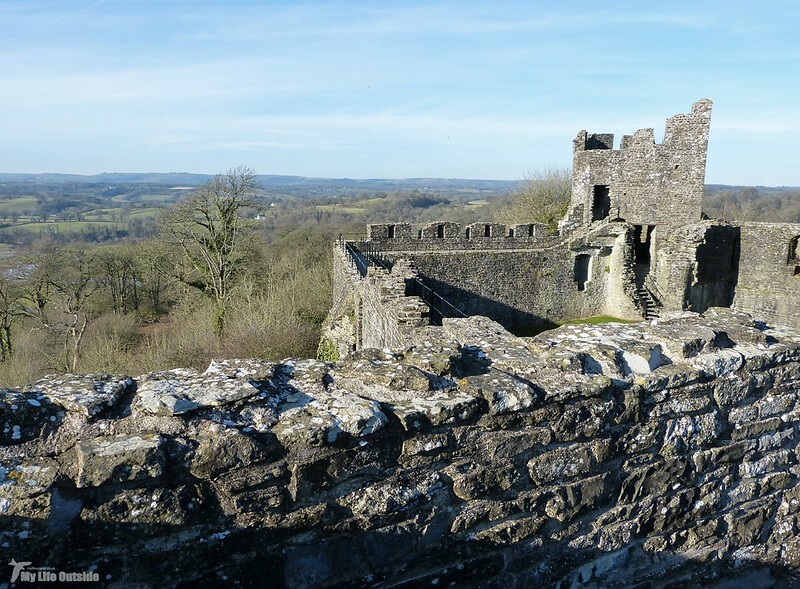 Nestled amongst the trees of Castle Woods sit the substantial and imposing remains of Dinefwr Castle itself. Though there has been a defensive structure on this site since the days of Rhodri the Great (820 - 878) the present stone buildings date from around the first half of the thirteenth century. 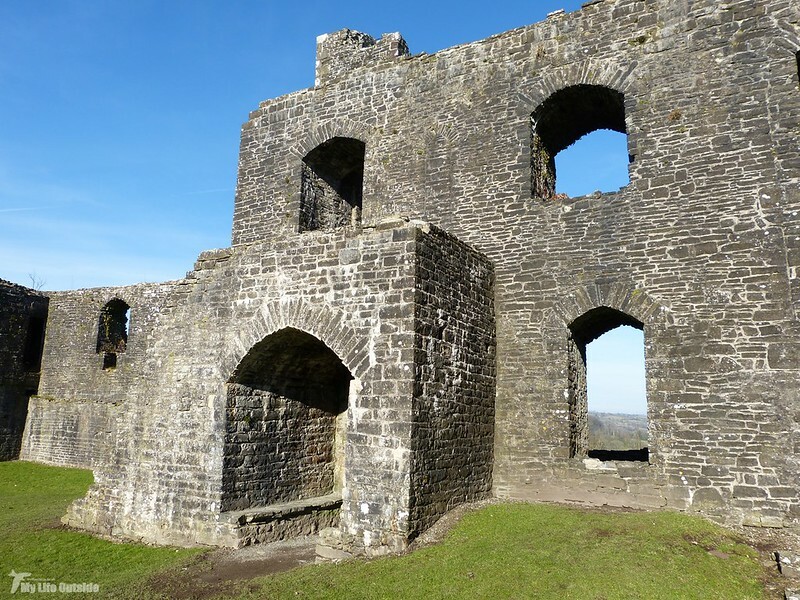 As ever precise dating is a confusing business, even more so here where there have been only limited archaeological excavations, but what we can be sure of is that Dinefwr has seen its fair share of sieges, fires, deaths and battles over the years. Given all that she's looking pretty good for her age. 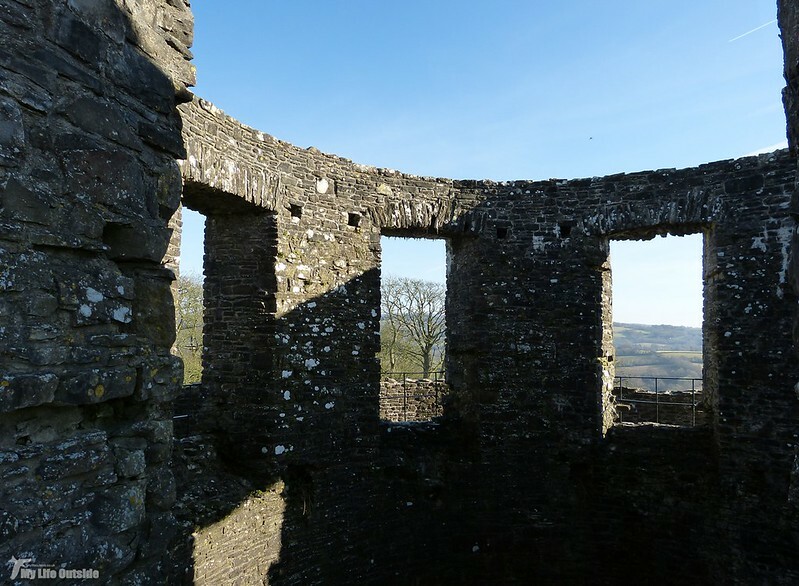 In the photos above you can't help but notice Dinefwr's distinctive circular keep, an unusual structure whose upper floor once held a series of large windows. 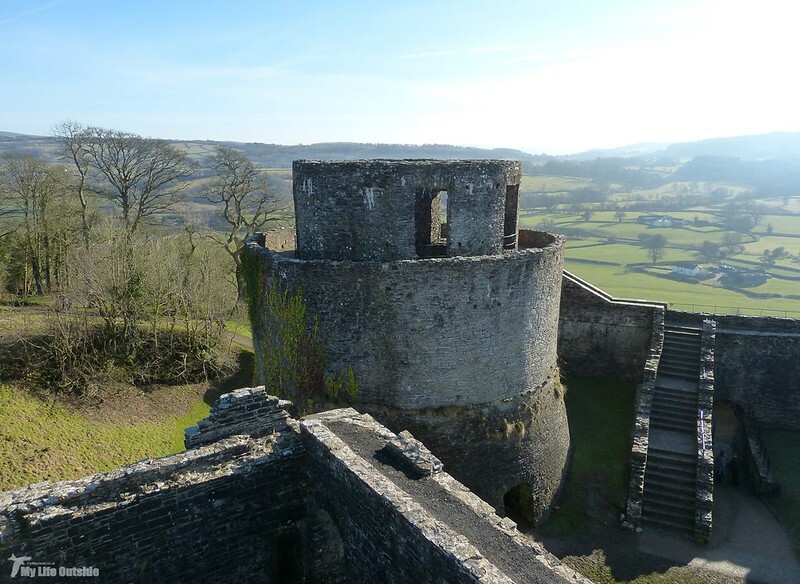 Clearly these would have been of no use defensively and are instead thought to have been added in the late seventeenth century when Dinefwr saw a new lease of life as a grand summerhouse. 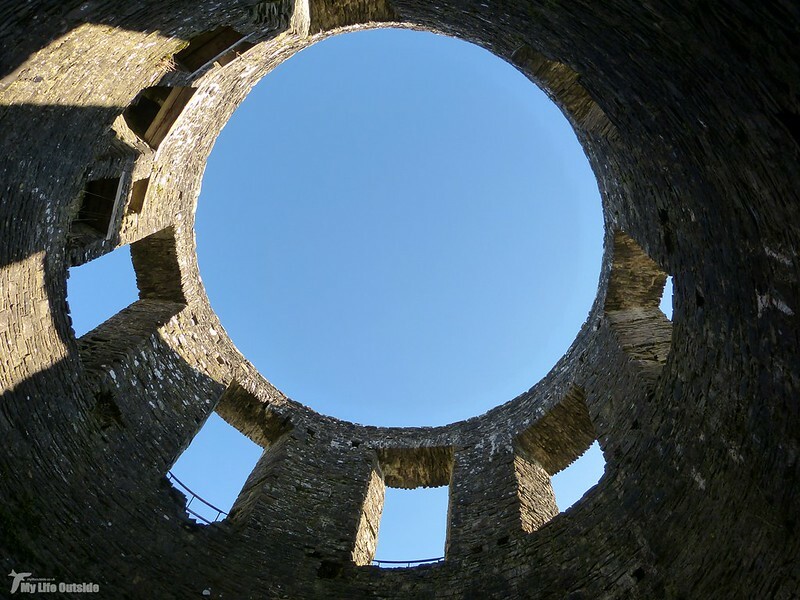 The keep was given a domed roof and tiled floor though both are long gone following fire damage less than a hundred years later. Perched high above the Tywi valley it's not hard to see why this position was chosen both for its defensive properties and later use as a place of leisure. From the restored wall top walkway and tower you can see just how expansive the views are and how unlikely it would have been for any attempted approach to have gone undetected. Even if someone did make it through I don't envy them the task of breaching such stout defences. That the keep still largely remains intact, as does the rest of the castle, owes much to sporadic repairs carried out by the Dynevor estate through to the twentieth century. 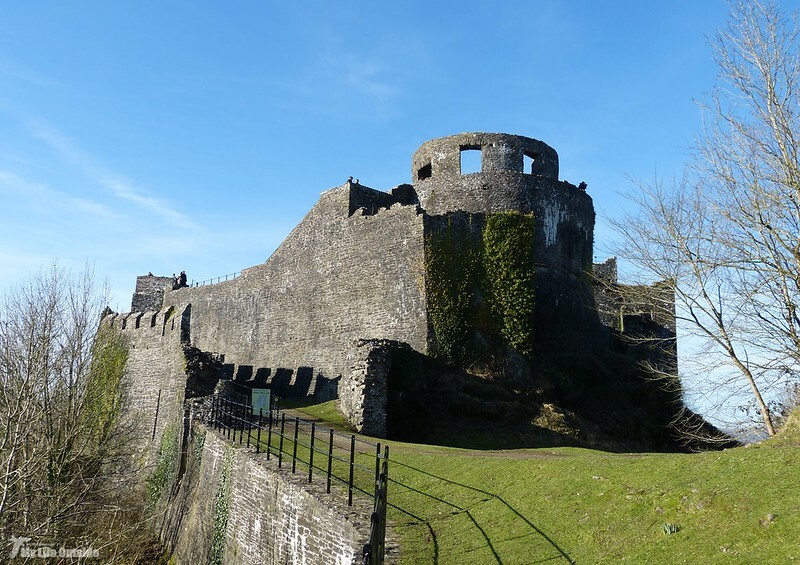 They undoubtedly saved the structure allowing Cadw to carry out a full restoration in recent years and in doing so secure its long term future. That this has retained access up a narrow stone spiral staircase to the tallest tower is to be commended, a nice two fingered salute to those in health and safety who'd see every potential hazard fenced off and closed down. Now where would be the fun in that? It's grand. It is hard to find old buildings that are not desecrated with signs, dayglo steps and fences. Sadly true Adrian. This one stands out as a prime example of how things should be done. Gorgeous old castle. Thanks for sharing.